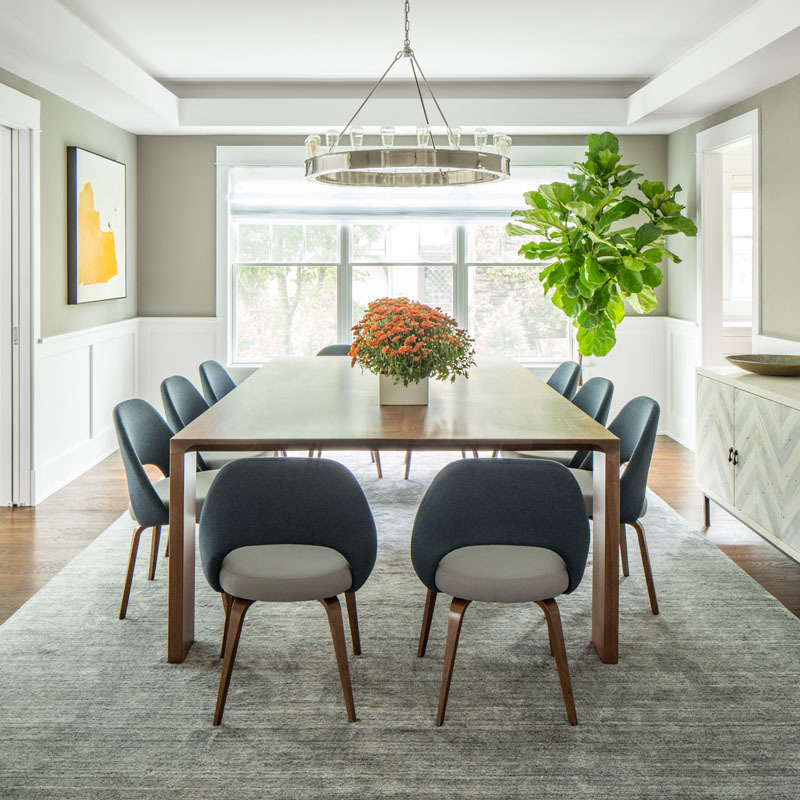 If you’re looking to update your home in 2019, Décor Aid interior designers recently shared their favorite living room remodel ideas to help us inspire your next room refresh with confidence and ease. 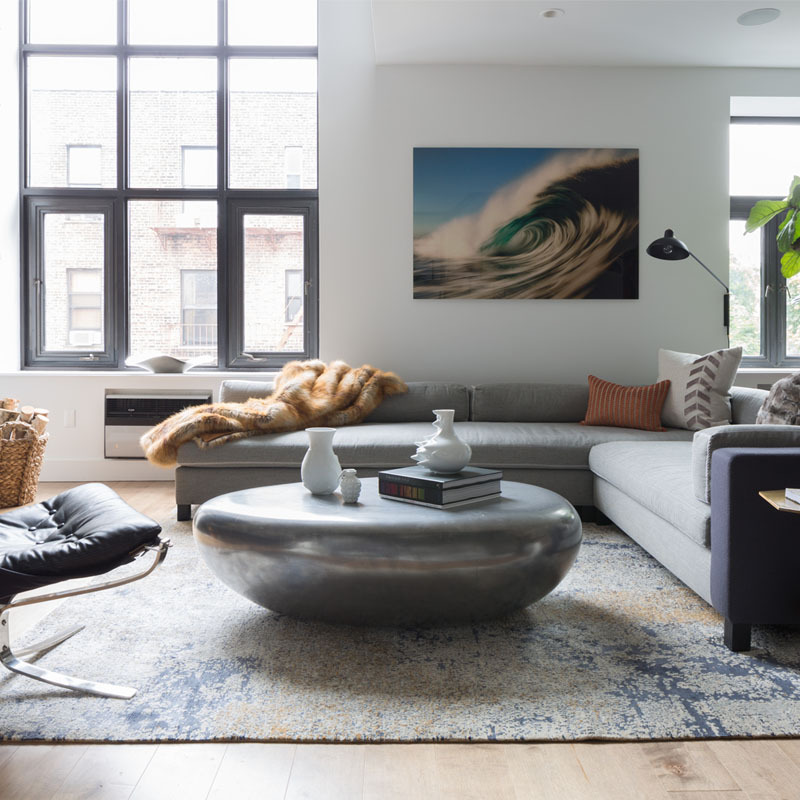 If elevating one of your most frequently used common rooms is one of your new year’s design resolutions, then you’ll be sure to score loads of alluring inspirational cues here featuring the top living room remodel trends of 2019, to keep your creative energy charged. If you’ve got a large grouping of common rooms to work with, our renovation specialists suggest investing in beneficial construction services to make the area feel much bigger than it ever was. By opening up the floor plan and removing a few walls to combine say your living and dining rooms together, with or without your kitchen, you’ll make your home feel larger and brighter to boot. For inspiration, walk into your living room and survey the initial first impression it gives off and think of how that makes you feel along with what you like, don’t like, and would like to see instead. As first impressions are often made within seconds, it makes for a great starting point when considering living room remodel ideas. Since window treatments are expensive investments that feel tired over time, consider what you would like to see in their place and opt for a timeless style like the ones in the room pictured above. By going for a more classical route, you’ll get more use of your window treatments over time and since they are such an important feature in any living room, the more sleek and streamlined, the better. Add a sense of vintage everyday glamor with a luxuriously decadent and decorative tin ceiling that’ll make your home unique while boosting its resale value. You can also use tin panels to create tonal plays throughout your living room that’ll never look outdated say on an accent wall, or as a border. When it comes to essential living room refresh ideas, start with a color palette that you instinctively feel that you’ll enjoy living with for years to come. 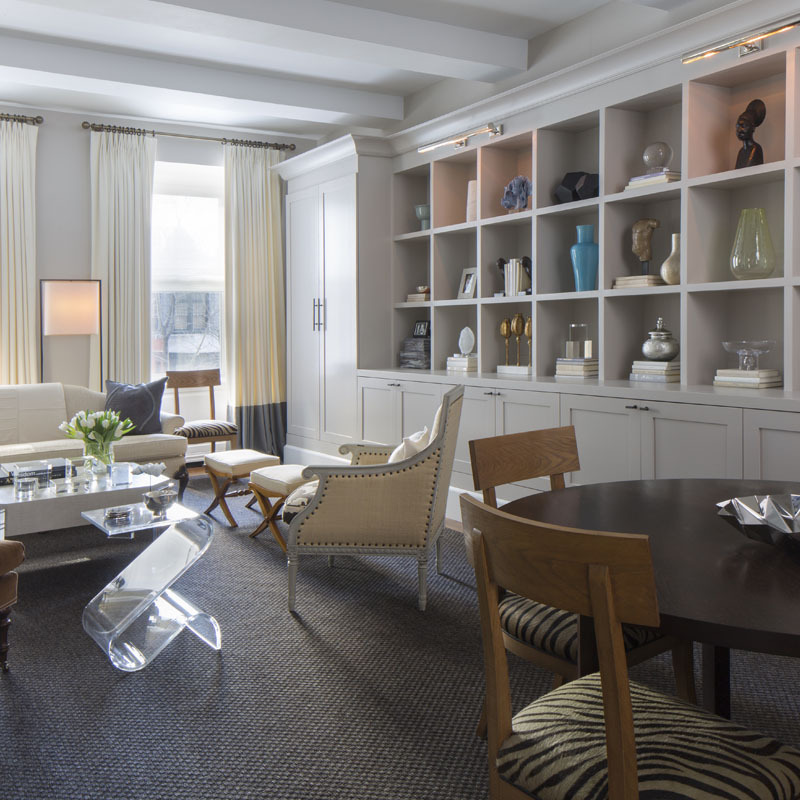 Our interior designers suggest opting for timeless neutrals and color schemes that feature no more than four colors. 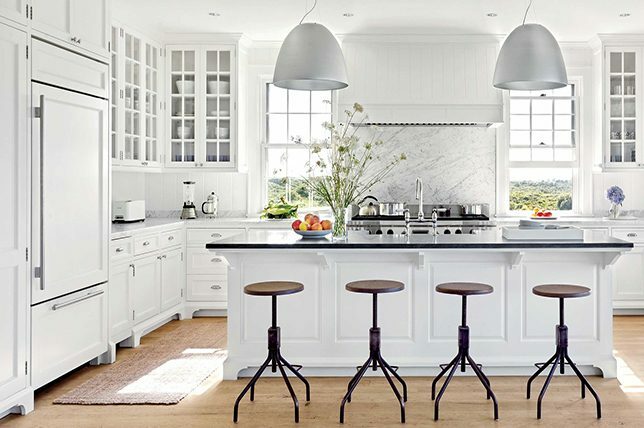 By starting with a timeless neutral, you’ll be able to go in any design direction that feels right without fear of being dictated by a certain scheme or style. When it comes to any room, it always pays to make it look larger than it really is. And when it comes to smart living room remodel ideas, there are several routes to make your living room feel as big as it can. To do so, paint your ceiling white, bring in a large area rug, and statement pieces like beautifully detailed mirrors or a chandelier to make it feel grander and all the more memorable. Mirrors are also an affordable and easy to source alternative that you can easily switch out as trends pass. Plus, you can place mirrors in interesting places to work as conversation-starters that’ll make your home all the more unique to you. Traditional doors often don’t offer you much design expression, but sliding doors are different; they can become a bit of a feature, if you want, or blend seamlessly into the background. Even better when they are glass so your living room appears larger while not blocking any light. Easily moveable metallic side tables are a great way of introducing high-shine reflective finishes and added glamor to any living room. They are a great way of making a striking impact in a luxurious way and they are also an essential route to adding a touch of elegance and luxury to a small living room remodel, especially when you aren’t re-vamping the entire room. Glass topped or marble topped metallic side tables will also help to keep areas from feeling blocked off for a much lighter look. And best of all, you can easily source an inexpensive one for a quick living room refresh. 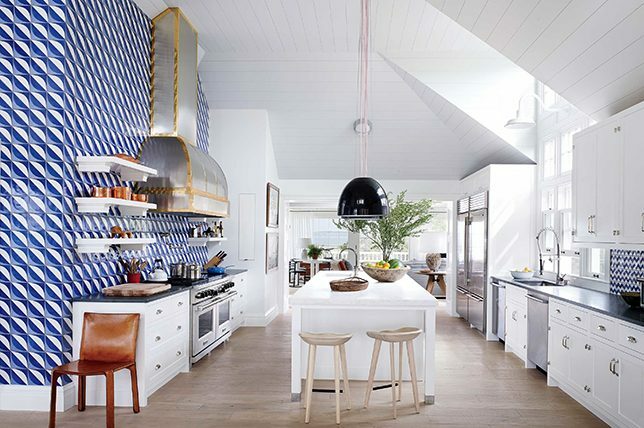 By now, it should come as no surprise that ’70s retro-inspired Mid-Century Modern style trend continues to reign in 2019 as the timeless design direction continues to inspire. You can go all-out ’70s for a truly retro feel, or just add some retro accents and accessories to your living room remodel. Choose a retro patterned wallpaper and team it with accessories and furniture that evoke the era – completing the look with a vintage wood sideboard and some orange or green velvet upholstery. Ah, velvet, where would we be without you? Certainly not in 2019, that’s for sure. Velvet didn’t let up in 2018 and that’s not about to change. It’s decadent, it’s luxurious, and there is no better fabric for upholstery than sumptuous velvet. Though neutral velvet makes for a decidedly polished look, elegant shimmery velvet jewel tones are sure to add needed depth and color to your living room and whether you are going for a large sofa and comfy chairs, or just some throw cushions for a small living room remodel, consider velvet fabrication as a stylish go-to that’s worth the investment. Consider 2019 the year of the soothing and timeless blush tone. They’ve been trending throughout 2018 and they are going to come into their own as we enter into 2019. Filling a room with multiple pinky-blush shades makes for a foolproof alternative to richer colors that’ll also never go out of style. Blush tones are impactful and soft at the same time, but without ever being overbearing. And our interior designers expect to see more and more blush tones popping up in many a living room remodel trend in 2019. 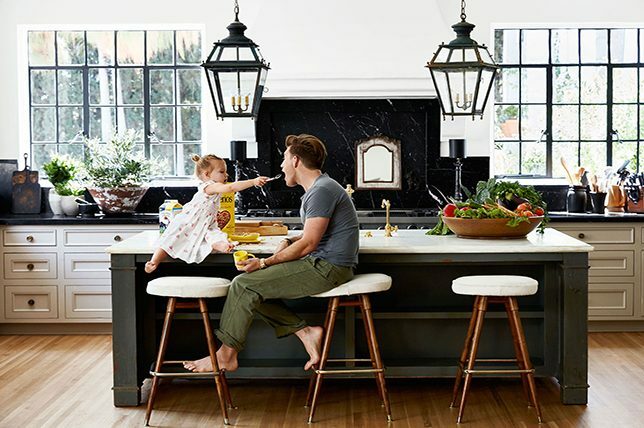 Biophilia essentially means to ‘bring the outside in.’ Living room remodel ideas 2019 are chock full of inspiring homages to nature and the great outdoors. Whether this is by using a natural material, an earthy tone or bringing plant life into your living room, biophilia is sure to make an impact. Choose natural, sustainable fabrics, and furnishings to embrace the beauty of the natural world. You can also master the trend inexpensively by bringing in easy to care for plants that’ll also work to purify the air in your living room while recharging the energy. Earthy tones couldn’t look better for a life-enhancing living room remodel. They are soft, warm, comforting, and cozy and no room lends itself better to that than the living room. Autumnal shades – browns, greens, oranges, purples, and reds are coming together alongside neutrals to create an autumnal fantasy of an oasis. 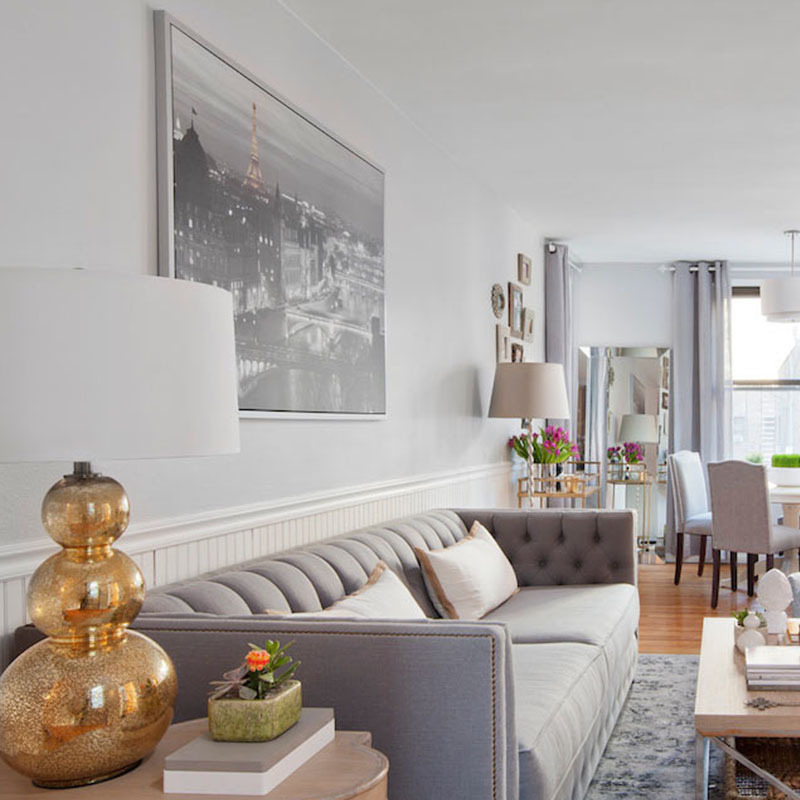 The more natural and earthier you can go, the better – making for a welcome break from the chilly tones of the past while remaining minimal in spirit to create the perfect starting point when starting a living room refresh. Geometric patterns are a great way to bring in timeless statement-making pattern in any room in your home – wallpaper, rugs, mirrors, art, prints, and furnishings are all giving way and embracing the geometric trend. Obvious, understated, bold or subtle, geometric pattern works well in large and small living room remodel ideas alike. Metallic accents in geometric wallpapers are also a sure-fire route to creating stunning feature walls, accompanied by a contrasting geometric rug for a juxtaposition of brilliant patterns. This trend is super soothing; they are bolder than pastel tones, giving you an extra level of depth and color to your living room remodel ideas. Use multiple makeup colors in one room, broken up with some white or a light neutral, for a deliciously designed living room. 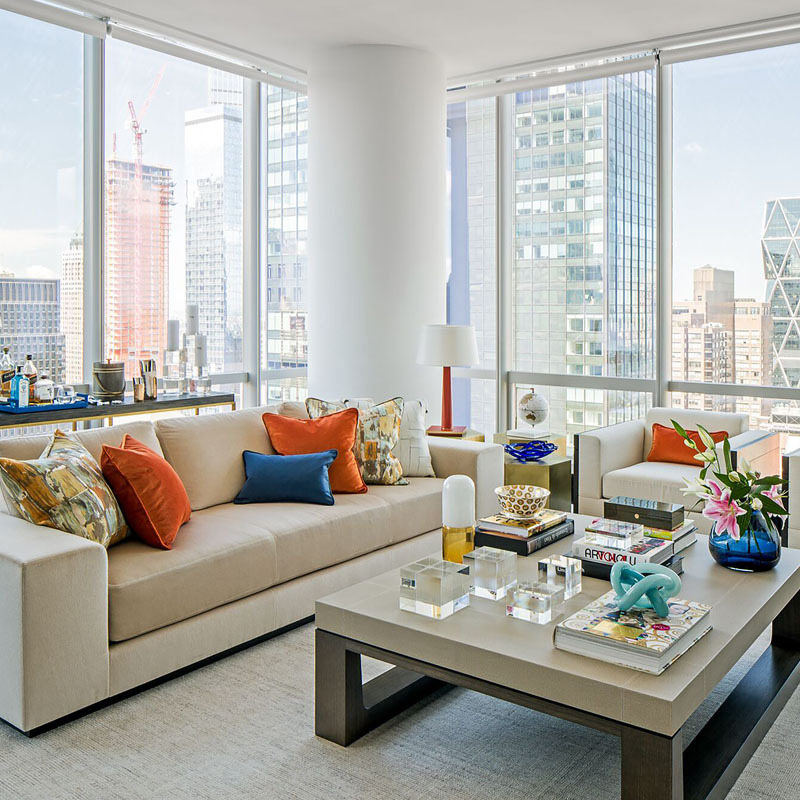 Oranges, pinks, greens, and blues are being combined together to help you create a living room that’s boldly original without coming off as heavy-handed or abrasive. Who else is pleased to see floral wallpaper making a comeback? We were starting to get worried we weren’t ever going to see it again thanks to today’s climate for spartan interiors and pared-back design. The bolder the better when it comes to floral wallpaper for your living room remodel. Don’t shy away from floral wallpaper if you are looking for small living room remodel ideas, as there is stylish wallpaper available to make any living room remodel feel more alive while lending the room personality. 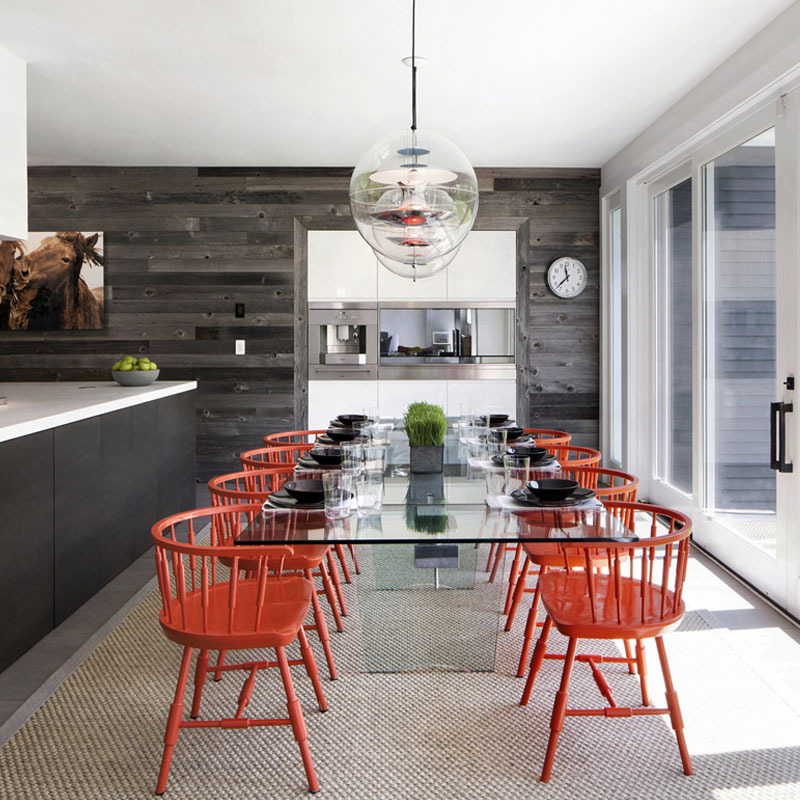 We are seeing more and more darker colors pop up in living room design and in an endlessly inspiring way. Not just a glossy black or inky blue accessory here and there, but expansive walls painted in deep, powerful colors. We enjoy how these dark colors have the ability to be surprisingly soft and comforting, at the same time as being powerful and aggressive. Plus, dark walls make for a great contrast to white furnishings and patterns alike. Sustainability is at the top of the list when it comes to living room remodel ideas 2019 and for good reason. More and more often, our clients are concerned about where materials and products are coming from, how they are being made, and the impact those processes are having on the environment. The more you focus on sustainability, the less negative impact you’ll add to the environment. That doesn’t just mean choosing items which are sourced sustainably, but carefully choosing where you buy your furnishings from, and thinking about the kinds of shopping experiences and handcrafted items you want to be available to you in the future. 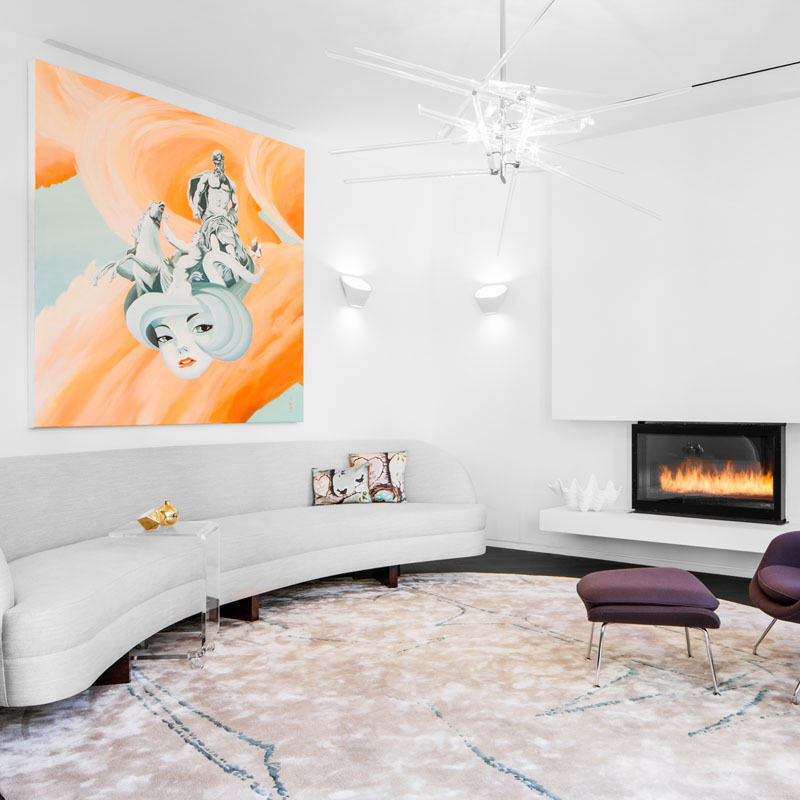 The return of bright, graphic, and often playful Memphis design is something our interior designers were very excited to see in living room remodel trends, as it’s been long forgotten since the ’80s. 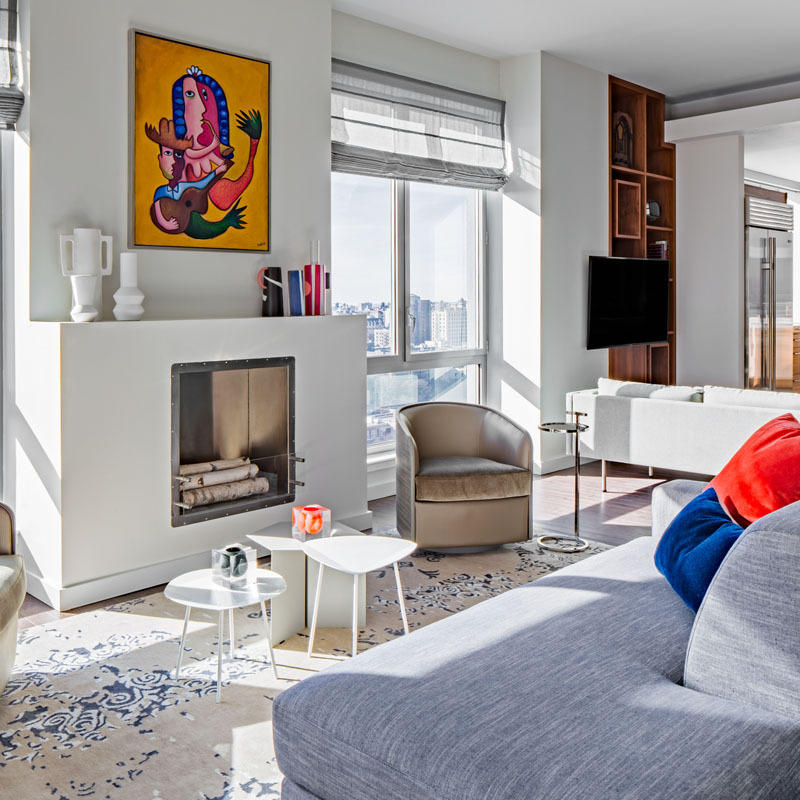 We are eager to see the primary colors, graphic shapes and smooth lines of Memphis design exploding making a distinctive mark when it comes to living room remodel ideas in 2019. Due to the eras colorful hues and mesmerizing shapes, its perfect for both large and small living room remodel ideas alike. Add a sense of riotous personality with Memphis-inspired finds that’ll make your home all the more unique. 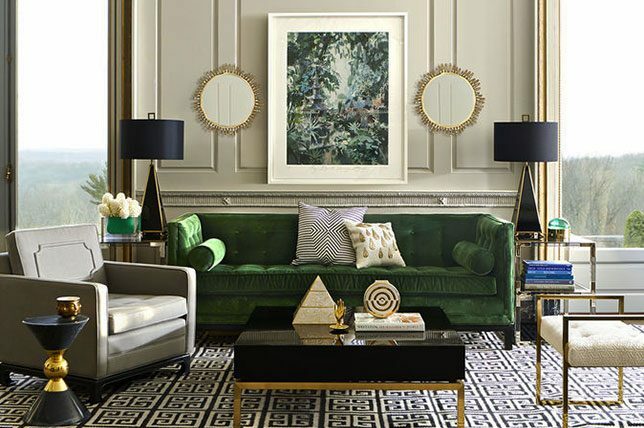 2019 is going to be the year of maximalist art and we are looking forward to seeing it more and more in modern living room remodel trends. Imagine bright colors and patterns and large-scale art. Graphic art covering an entire wall would have been considered invasive and obtrusive in the past, but not any longer with this trend. 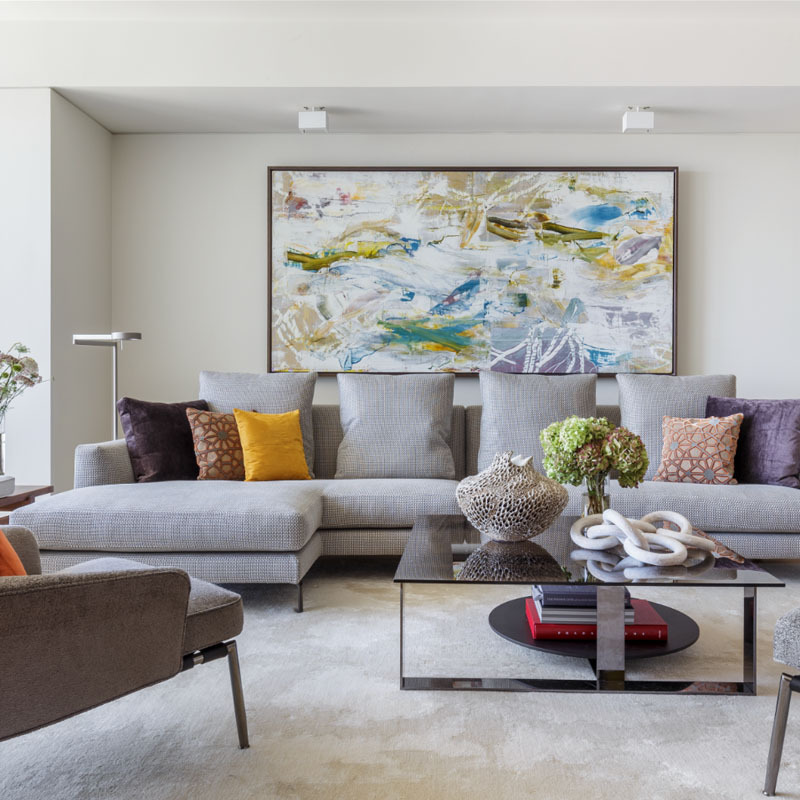 Go bold and bring in conversation-starting art pieces that’ll lend your living room remodel ideas a needed sense of originality and personality. We love a jewel tone as much as the next person and where better to install jewel tones, than in your living room? Jewel tones have a firm place in living room remodel trends 2019 and for good reason. They add a touch of luxury to any room and they have that one of a kind spirit that makes you feel comforted, cozy, and cocooned, even in a traditionally cooler color. They also pair well with just about any design style, from the rustic to the minimal. Acrylic furniture lends your living room the practical functionality it needs, without consuming the visual space you have available. An acrylic coffee table would fit nicely in a small living room remodel – the clear material will open up your room and allow the space to feel less cluttered. If you want your space to feel less busy, then acrylic tables are a great route to making your living room feel larger and brighter than it is.